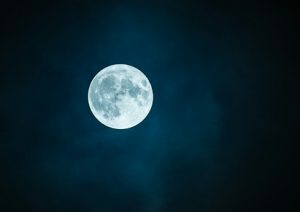 Having Sleepless Nights Due to Individual Tax Issues? If you’re having sleepless nights due to individual tax issues, True Resolve Tax Professionals in Denver is here to help you. Whether you owe the IRS money or haven’t filed your tax returns in anticipation of owing, our licensed, IRS Enrolled Agents will work with you to find a lasting resolution. Representation in an audit to negotiating a payment plan on your behalf, our solutions will ensure a good night’s rest. Perhaps, you’ve received one those frightening certified letters in the mail from the IRS warning you of an impending asset levy. Maybe you’ve been pulled aside by HR at your job and given a notification of the intent to garnish your wages. No matter your situation, it’s not unusual to feel paralyzed, unable to take the first step towards addressing your IRS issue and getting your life back on track. Let’s break down everything you need to know so that you can put a stop to having sleepless nights due to individual tax issues. If you’ve been too overwhelmed to face your tax issues, the unfortunate news is that your problem is only getting worse by the day. And it’s not just about the original amount you owe. The IRS, as well as state and local agencies, apply a variety of penalties and ongoing interest to your total. The IRS implements Failure to Pay and Failure to File penalties when applicable. These are not one-time fees, but monthly penalties that increase the longer you wait to resolve your tax issue and/or pay what you owe in full. As for interest, the federal short-term rate is currently 3% and compounds daily. Ultimately, ignoring or putting off dealing with an individual tax problem only makes it harder for you to get caught up and can be disastrous for your finances. No matter how long you put it off or try to outrun your tax issue, the IRS will eventually catch up with you. And once you owe the IRS, they have a number of methods to collect on your debt. Individual IRS Lien – In this situation, the IRS makes a legal claim against your assets, including real estate, personal property and financial assets. Because it’s filed publicly, liens can damage your credit score, putting a halt on important purchases such as a house or the car you need to get to work. Individual IRS Levy – To settle your debt, the IRS can seize property and other assets. They can freeze your bank account, as well as take your home, car, and even future state and federal refunds. Whatever is seized is then auctioned and may not sell at its actual value, making it tougher to cover your debt. IRS Wage Garnishment – On top of seizing assets, the IRS can contact your Colorado-based employer and demand a large portion of your wages. In fact, 70% or more of your income can go directly to the IRS. As a single taxpayer with one exemption, you’ll be left with just $862.50 to live off of each month. If you’re having sleepless nights due to individual tax issues, there’s no need to face the IRS all on your own. 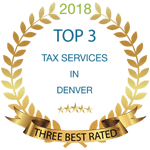 True Resolve Tax Professionals in Denver can help you file all of your back taxes, as well as guide or negotiate the release of liens, levies and garnishments. Our licensed, IRS Enrolled Agents will walk you through your options, such as setting up a payment plan or negotiating an Offer in Compromise. We’re committed to ethically and honestly assisting you with each step and acting as your advocate. Our goal is to give you true peace of mind. To get started, schedule your 30-minute consultation today.